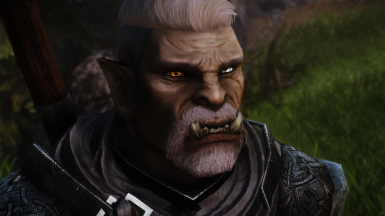 Ever wanted to play as a badass old orc? Well now you can! Introducing Balgerund - A Racemenu Preset, now in your nearest Nexus mods today! Thank you to these authors for their amazing work, for without it, this preset would not be possible! 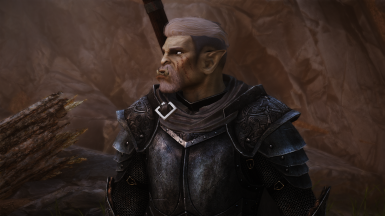 so here is Balgerund - his aging and (soon to be balding) orc warrior! Balgerund is not of my own creation - he's the property of HomieShipSteve﻿, my fiancé. If you like him, don't forget to endorse! So here we are, here's Balgerund for your travels! I'd really love to see screenshots of him! To use, all you have to do is download with your mod manager of choice, or if you're masochistic enough - download manually by extracting to your data folder located at ...\steamapps\common\Skyrim Special Edition\Data. Once you've done this, load up Racemenu and go to the presets tab - press F9 to load a preset and voila! Now the only hard requirement is Racemenu﻿ (and it's requirements) as that is what you'll need to load and use presets. The old guy wears Steel Plate Armour, fashioned with a Grey Hide Cloak (from Cloaks of Skyrim﻿) and the Thresher's Maul from Immersive Weapons, if you're wondering. Lastly, the ENB I use is Mythical ENB﻿ for Mythical Ages﻿.